Maybe there is something to that Federal Reserve as super regulator proposal the Obama administration is talking about after all. Policies that set the pay for tens of thousands of bank employees nationwide would require approval from the Federal Reserve as part of a far-reaching proposal to rein in risk-taking at financial institutions. The Fed's plan would, for the first time, inject government regulators deep into compensation decisions traditionally reserved for the banks' corporate boards and executives. My my. A few, now government funded, I might add, mega financial institutions (made that way with U.S. taxpayer help) are now lobbying against derivatives regulation. It appears the great unregulated casino hall of derivatives can sometimes generate winnings. The last 6 months haul? $35 billion dollars. Wall Street is suiting up for a battle to protect one of its richest fiefdoms, the $592 trillion over-the-counter derivatives market that is facing the biggest overhaul since its creation 30 years ago. Five U.S. commercial banks, including JPMorgan Chase & Co., Goldman Sachs Group Inc. and Bank of America Corp., are on track to earn more than $35 billion this year trading unregulated derivatives contracts. At stake is how much of that business they and other dealers will be able to keep. Regulators are in a power struggle as new policy proposals as well as Congress mull regulation reform of the financial system. John C. Dugan, the comptroller of the currency, blasted a proposal to impose stiff new insurance fees on banks as unfair to the largest banks, which he regulates. The financial crisis stemmed in part from problems at small banks, he insisted. Strip the SEC and Give Even More Power to the Federal Reserve? Bloomberg is reporting the Obama administration is considering stripping the SEC of some regulatory power and giving that oversight to the Federal Reserve. The Obama administration may call for stripping the Securities and Exchange Commission of some of its powers under a regulatory reorganization that could be unveiled as soon as next week, people familiar with the matter said. The proposal, still being drafted, is likely to give the Federal Reserve more authority to supervise financial firms deemed too big to fail. The Fed may inherit some SEC functions, with others going to other agencies, the people said. On the table: giving oversight of mutual funds to a bank regulator or a new agency to police consumer-finance products, two people said. Read more about Strip the SEC and Give Even More Power to the Federal Reserve? Yesterday I put up an Instapopulist post regarding the national demonstrations which will be happening tomorrow. This effort is being organized and coordinated by a new grass roots organization called A New Way Forward. Today, I want to emphasize the importance of showing up at these demonstrations, in light of the new article from Michael Hirsch of Newsweek. Here's the link to the story. As Hirsch points out, the administration has received push back from some members of the Senate. And there are some slight indications that there is sentiment within the administration to institute modest to serious regulations. Yet, the NY Fed is currently holding meetings with WS insiders and their traditional regulators, to decide the type of regulation that would work best for them. In other words, regulation lite and no transparency to outside agencies. What ever changes we make to our financial regulations, hopefully we'll ensure that we can never have another AIG putting the entire global financial system at risk. Unfortunately, our track record of building regulations is terrible. In fact, in many ways the last round of regulatory reform helped cause the disaster in AIG. How could AIG's destruction have been caused by banking regulation? Most people wil probably be surprised by the very idea. After all, they've been told that what really happened to AIG involved unregulated credit default swaps, insurance contracts on bonds that AIG sold across the world. They suspect AIG might have been caused by too little regulation. 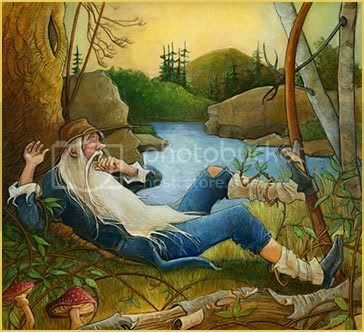 Rip Van Winkle SEC Chairman Cox magically sees the light. U.S. Securities and Exchange Commission Chairman Christopher Cox said Congress should grant authority to regulate the credit-default swaps market amid concern the bets are helping fuel the global financial crisis. Lawmakers should ``provide in statute the authority to regulate these products to enhance investor protection and ensure the operation of fair and orderly markets,'' Cox told the Senate Banking Committee today at a hearing in Washington. Read more about Cox Wakes Up? - SEC Chair Says Credit Default Swaps Must be Regulated....Now! Ah, if you can't skin a cat federally, nail one locally. Praise Jesus and thank God for State law. Paterson's Plan to regulate Credit Default Swaps. CDS sellers must prove the ability to pay in case of a default. There is immediate blow back from those dealing with derivatives which is probably a good sign this will actually start some regulation. Paterson's plan only covers about 1/5th of the market, but 20% is sure better than no percent! New York State can also not regulate naked swaps. Treasury Secretary Henry Paulson is likely to call for the creation of new regulatory agencies with broad powers over lending, the securities industry and business conduct, according to the draft of a study he commissioned.